Police at the scene of the crash. Picture by Colin Rennie. Police have appealed to the public for information after a serious accident in the north-east yesterday. 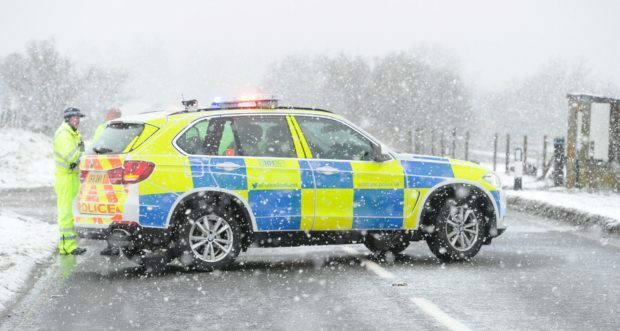 A collision, involving a blue Vauxhall Vectra and an orange Kubota all-terrain vehicle, happened on the A947 Oldmeldrum to Turriff road at Hillhead of Tulloch at around 3.35pm. The 28-year-old male driver of the Kubota was taken to Aberdeen Royal Infirmary where he is being treated for serious injuries.